Labour’s shadow chancellor John McDonnell asserted that it was “time to shift the balance of power in our country” and “give people back control over their lives” as he addressed the Labour Party conference on Monday (September 24). In a wide-ranging speech outlining how a future Labour government would re-orient the economy so that it truly represented the interests of ordinary people, McDonnell paid tribute to the trade unions that “founded this party” and told of his aim to take socialism’s “democratic vision even further”. “In 2018 I tell you that at the heart of our programme is the greatest extension of economic democratic rights that this country has ever seen,” he said. He added that Labour would ban zero hours contracts and introduce a real Living Wage of £10 an hour. Turning to corporate governance, McDonnell said that “real power comes from having the right to a collective say at work”, as he outlined legislation Labour would introduce to create an ‘Inclusive Ownership Fund’. This would require large companies to transfer shares into the Fund which would be held and managed collectively by workers. 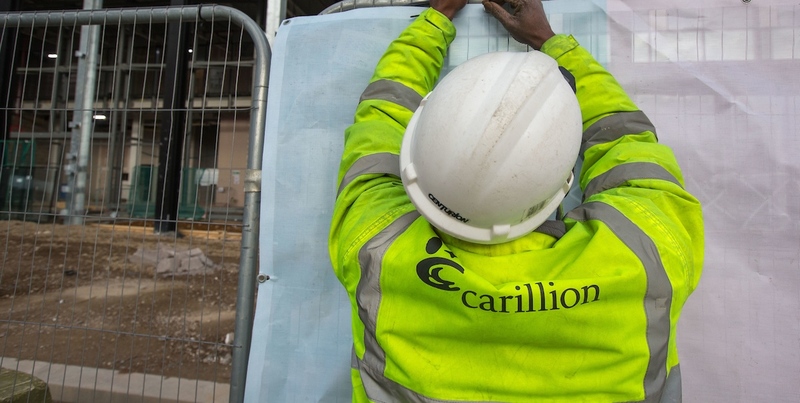 The shadow chancellor pledged to re-programme the Treasury so that the “Treasury bias against investing the regions and nations outside of London” is ended. He reiterated the party’s support for bringing water, energy, Royal Mail and rail into public ownership. “Some press said the voters would be horrified. They couldn’t have been more wrong,” he said as he pointed to opinion polls showing massive cross-party support for nationalisation of public goods and services. McDonnell announced that he and shadow business secretary Rebecca Long-Bailey would be launching a large scale consultation on democracy in public services. “We are also setting out our plans for a new publicly-owned water system that puts this essential service back in the hands of local councils, workers and customers,” he added. But he added that Labour cannot and should not wait until it is in government to take action against tax avoidance. “One way is to mobilise shareholder power to demand companies uphold basic tax justice standards,” he explained. “Numerous institutions from churches to trade unions and pension funds have large scale shareholdings in many of the companies that avoid taxes. “So today, I’m announcing my intention to bring together these organisations to launch a shareholder campaign. We’ll be demanding companies sign up to the Fair Tax Mark standards, demonstrating transparently that they pay their fair share of taxes. “The game is over,” McDonnell warned tax avoiders. The shadow chancellor highlighted the global challenges facing Britons and people across the world as climate change accelerates and major nations are on the brink of a trade war. “Just as at the Bretton Woods conference in 1944, there is an urgent need to work out if the current international system can cope with these threats,” he said. Concluding to a standing ovation, McDonnell said the party was ready for the next general election, whenever it may come. 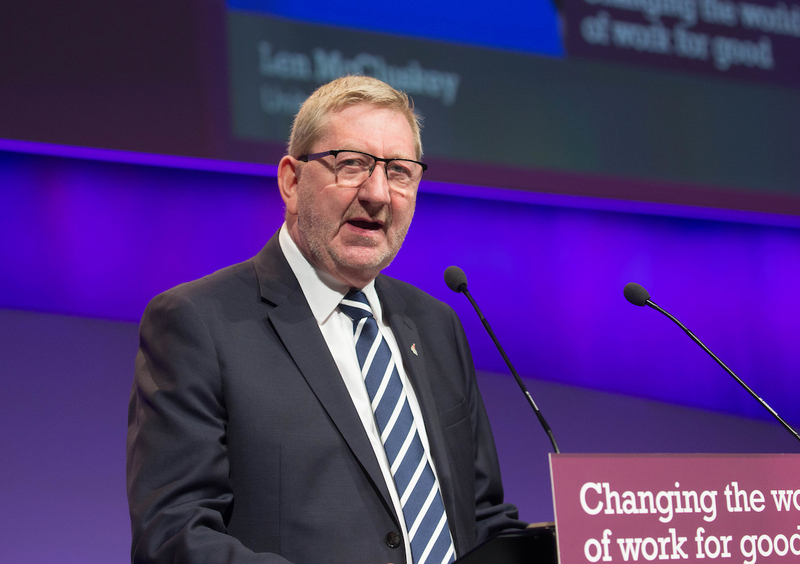 Unite general secretary Len McCluskey hailed McDonnell’s speech.